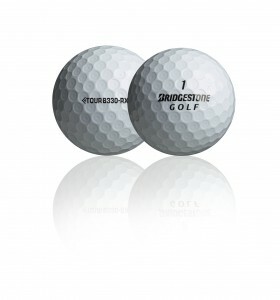 Bridgestone golf balls have enjoyed a special place in my memory going back to when their Precept brand made the Lady — a super low compression ball that men found went just great. The only problem though were the gibes they got for playing a “girlie ball.” The solution was both simple and elegant, the ball was renamed the Laddie…problem solved. Same ball different label. Bridgestone has become a force in the ball business with a firm hold second place behind dominant Acushnet Company whose Titleist and Pinnacle brands account for more ball sales than every other brand combined. 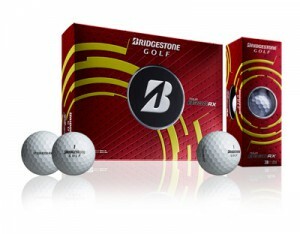 Based in Covington, Ga., the golf division (part of the world’s largest tire and rubber company Bridgestone Corporation headquartered in Tokyo) can claim roughly 45 percent more sales than third place Callaway Golf. They have an excellent line up of products but they also were the first to realize the best strategy to gain market share was to promote a comparison of their ball with the market leader…and anyone else who happened to be around. So in 2007 they instituted a program of “ball fitting,” sending vans filled with Bridgestone balls and launch monitors to clubs and ranges across the U.S.
Their logic was straightforward. You wouldn’t think about spending money for a new driver without being fitted and the driver is only used maybe 14 times in a round where the ball is used for every shot. The strategy worked and Bridgestone climbed the ladder of acceptability busting the myth that if you don’t play a certain brand of ball you’re not a serious player. And along the way they gathered an immense amount of data which has been a knowledge storehouse of what golfers really want and more to the point, what they really need in a golf ball to score their best. So starting out to play the Tour B330RX for this article I wanted to see how it compared with the leading brand I most often use, a comparison under real playing conditions not just on the range. I also had the expectation this would be a good ball for my game since I had been “fitted” for it based on my driver swing of 100 mph. Right from the first hole it was clear this was an excellent ball for both distance and control. At my home course the opening hole is a sharp dogleg around water and from the tee using a 2-hybrid the B330RX carried and rolled out to a very acceptable 210-yards. The second shot was a nine iron that landed in the middle of the green took one hop and stopped…also very acceptable. I won’t go through every shot for every hole for all 10 rounds but the results of average driver swings finished right in the same area as I am used to with my other ball brand and I had absolutely no problem spinning it around the green. In addition, though I don’t have any hard data it was obvious that from the critical scoring distances, 100 to 175-yards, the B330RX was excellent both for trajectory and control. Living in Florida wind is usually a factor. Tee shots into the wind using my low spin-low trajectory driver did not balloon even once and downwind the B330Rx did not seem to “float” as some golf balls do, meaning they often wind up off line and in a place you don’t want to be. A couple of final things. For those interested in the technical details Bridgestone tells me both the B330RX and stable mate B330RXS (S for softer cover) have a new core that uses water during manufacture to give more density difference between the outer and inner parts. This helps create more distance and reduces spin. Both the firmer cover RX and softer S are a three-piece construction with their dimple-within-a-dimple urethane cover. Also just so you know I switched to a new ball every three to four holes and 11 times over the 10 rounds did head-to-head comparison of tee shots versus my usual ball. Within the limits of the circumstances — wind, rain, fairway slope, run out — and my swing, distance of the two balls was the same. Based on my extended experience with the Tour B330RX I strongly recommend it and at a street price of $45 it well within the cost range for serious golfers.